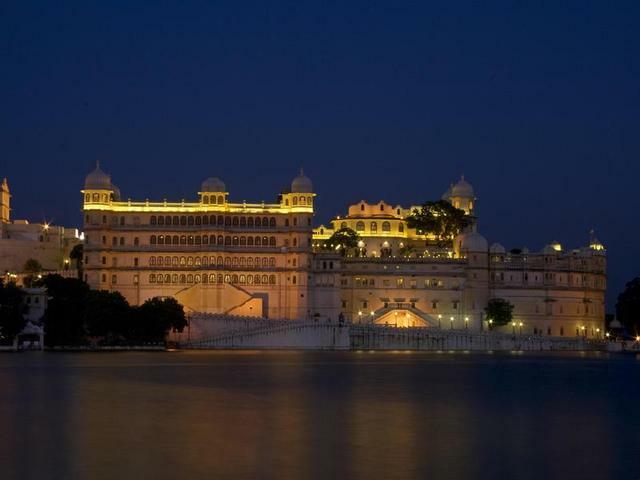 Fateh Prakash Palace, Udaipur was built during the reign of superior powers and serves as an exclusive venue for most discerning guests. 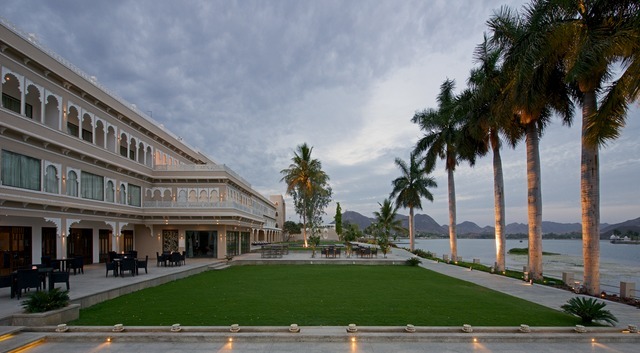 Positioned on the eastern shores of the striking Lake Pichola, the palace seems to have appeared directly out of a fairy tale. 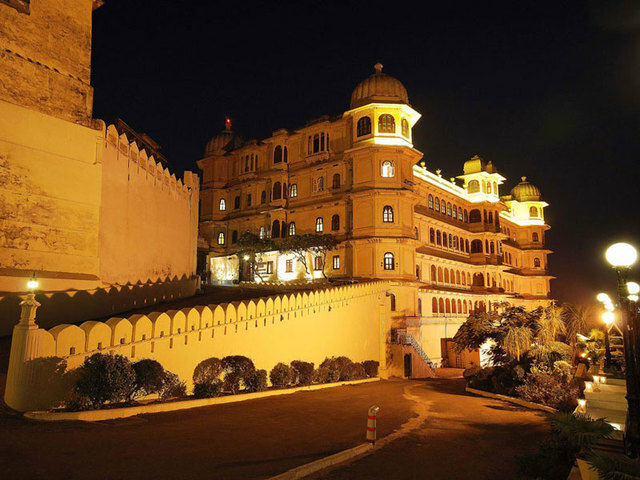 Guests are transported to legendary times with presence of history-soaked interiors, miniature paintings, royal artifacts and the armoury of the Mewar dynasty. 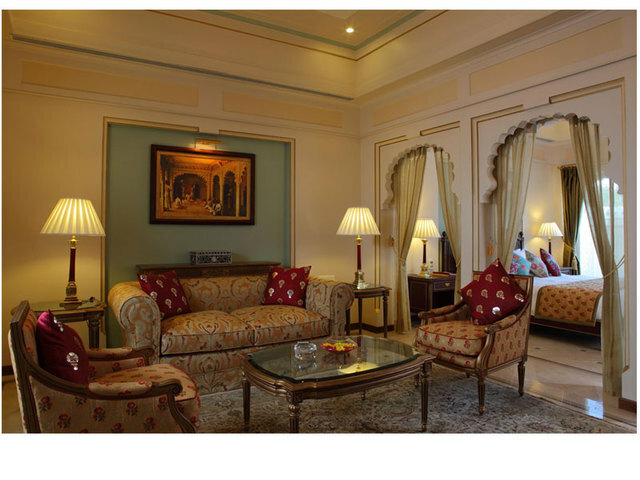 The suites and rooms are flawlessly decorated with original paintings and period furniture with a motto to gift velvety luxury sleep to all. 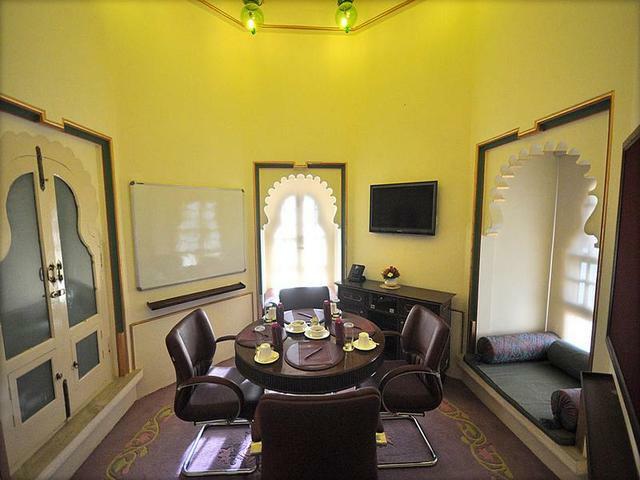 Both corporate and leisure travellers can plan holidays, conferences, meetings or celebratory events at this colossal architectural marvel. 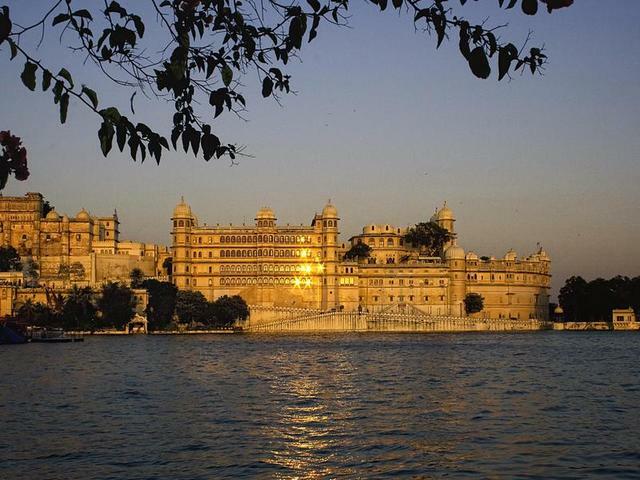 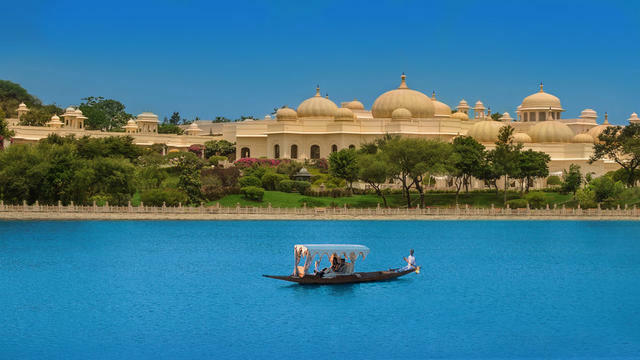 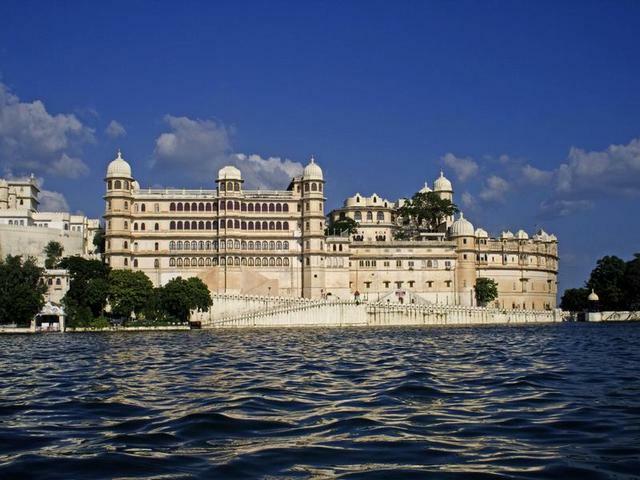 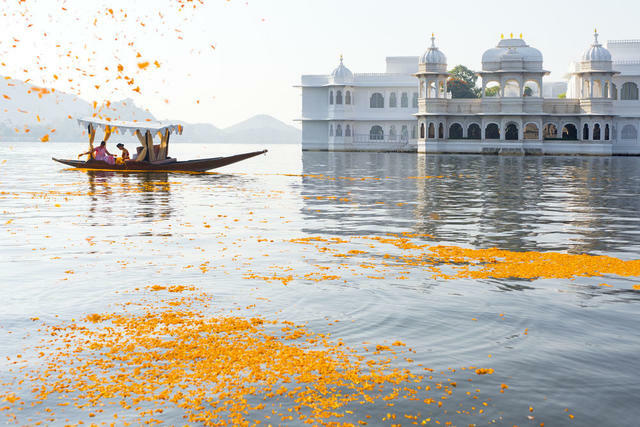 The huge palace is positioned at The City Palace Complex and facilitates easiest connectivity to local places like Lake Pichola (600m), Fateh Sagar Lake (3km), Jag Mandir (1km), Monsoon palace (8km), Jagdish Temple (350m), Saheliyon ki bari (4km), Lake pichhola (600m), City Palace Government Museum (100m) and Gulab Bagh and Zoo (1km). 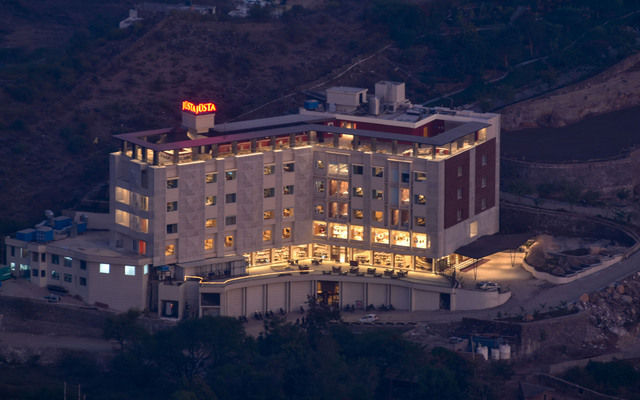 The palace boasts of a plethora of startling services like conference hall, Restaurants, recreational activities, fitness activities and library. 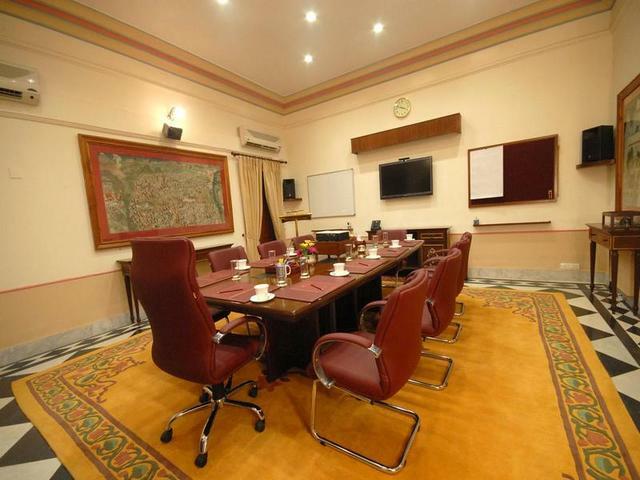 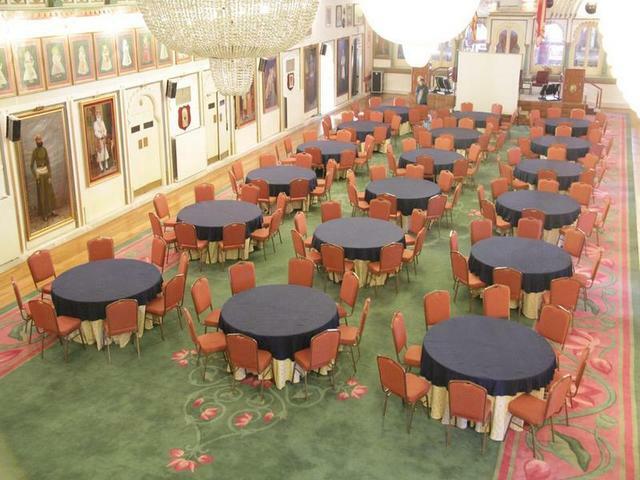 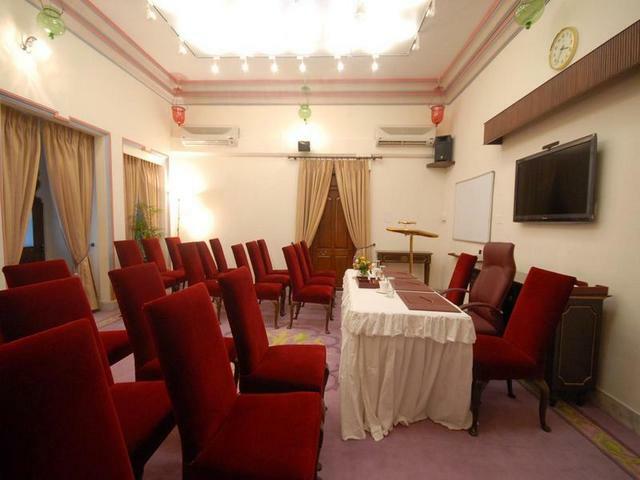 Corporate people can access the conference hall packed with latest gears and equipments required to undertake prominent events and seminars. 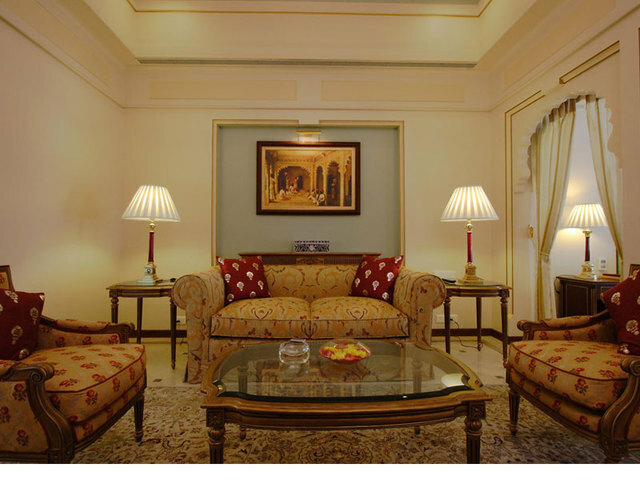 Guests can take pleasure in some constructive recreational activities like squash, swimming pool and billiards room. 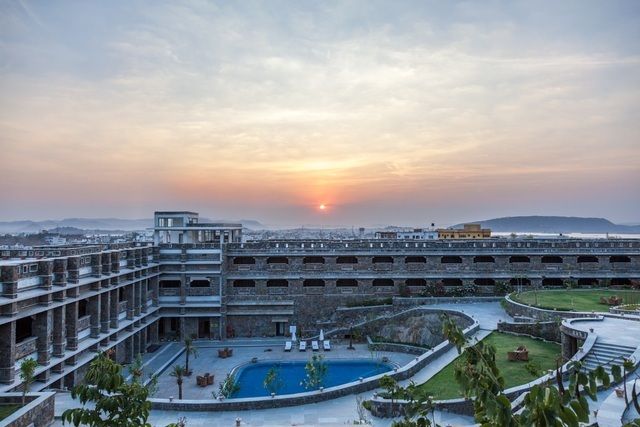 Fitness facilities like provision of Steam room, The Panghat Spa and Beauty Salon for Ayurvedic and beauty treatments ensure pure revitalization of weary souls. 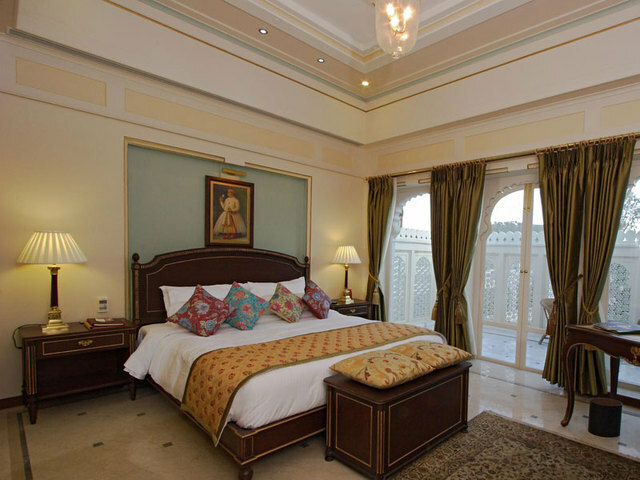 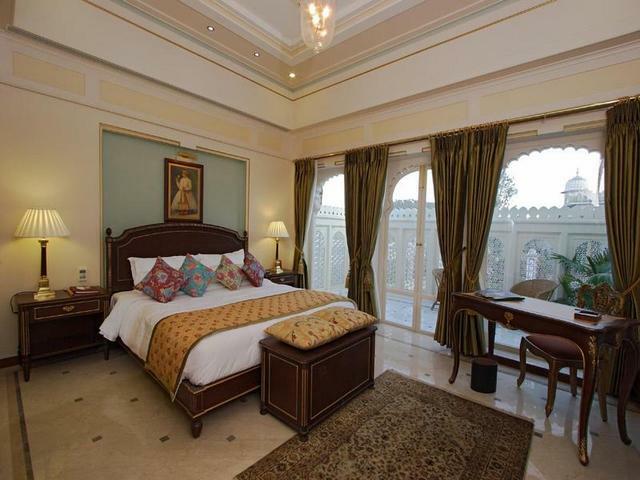 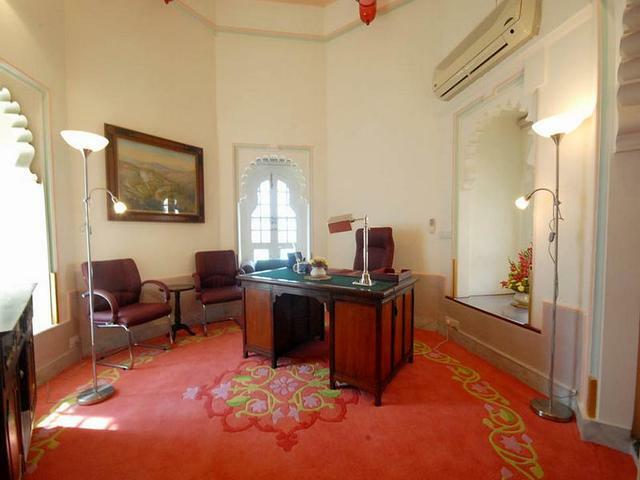 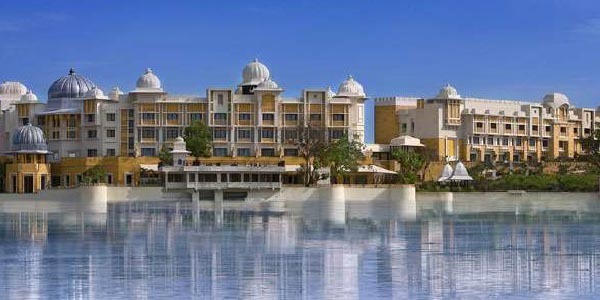 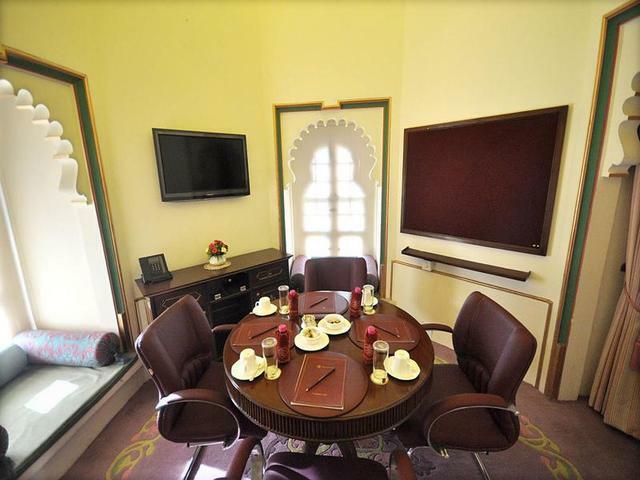 Fateh Prakash Palace has a total of 35 rooms in two categories, Dove Cote Rooms (21) and Dovecote Premier Suites (14). 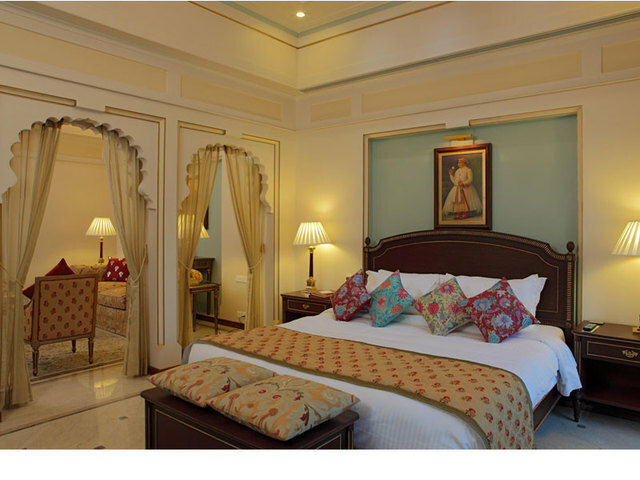 Famed to flaunt regal opulence and eternal charm of vintage era, the rooms possess polished and expensive furniture and most cozy bedding ever. 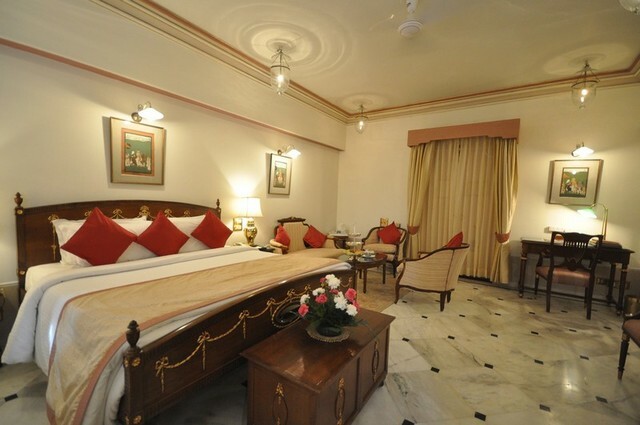 Every room is stocked with modern conveniences like Complimentary newspaper, down duvets, down pillows, Hair dryer, safe, Satellite television and wireless internet.